After moderating the event, Nile Pierre said she found inspiration in Welteroth's words and reflected on what it means to be successful in a world where we often feel limited by our identities or how others perceive us. “I think my responsibility as the first and as the only different person is to be my authentic self and bring my point of view,” Elaine Welteroth, former editor-in-chief of Teen Vogue, said during a talk Monday night in McAlister Auditorium. Clad in white high-heeled boots, denim jumpsuit and a black leather beret, Welteroth graced the stage to talk about her life, success and experience of being Teen Vogue’s first African-American beauty director and youngest editor-in-chief. Set up as an open conversation between Welteroth and the event’s moderator, Nile Pierre, sophomore and Intersections editor for The Tulane Hullabaloo, the talk explored topics ranging from success in the fashion industry to race and inclusion in journalism. The event, which occurred last Monday night in McAlister, was brought to campus by Tulane University Campus Programming. “If you want to create change, you have to agigate. You have to be comfortable making other people uncomfortable,” @ElaineWelteroth said. Welteroth began the event by exploring the beginning stages of her career when she was a young communications major at California State University, Sacramento. She said she was pulled in several professional directions. After a few internships in marketing, Welteroth said she knew she felt uninspired by the world of advertising. “You have to do what you love in order to be successful,” Welteroth said at the event. A magazine publishing class helped Welteroth find what she loved and propel her toward writing. Welteroth went on to get two pieces published in a national magazine within that semester. Firm in her conviction to pursue writing, Welteroth’s success took off. 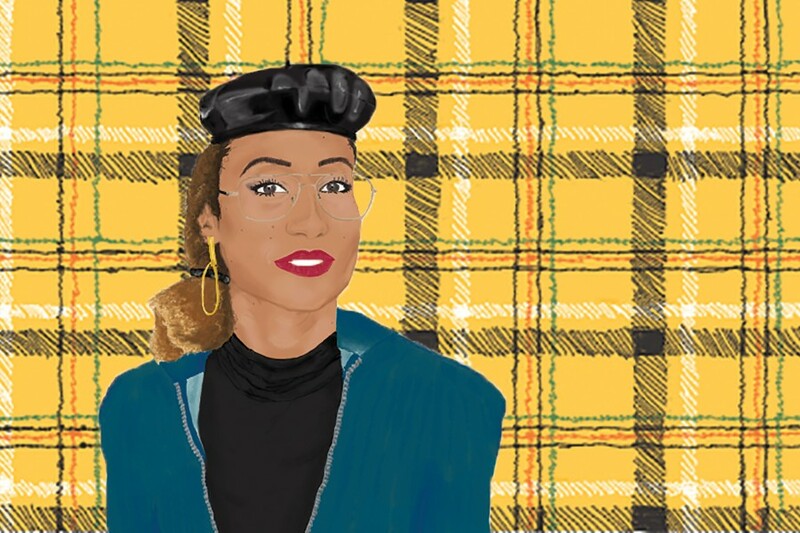 She later took on a position at Ebony Magazine, and eventually landed a position at Teen Vogue, where Welteroth gained momentum for intersecting social justice with her work as a writer. When answering a question from the audience on her experience as a black woman in the fashion industry, Welteroth touched on the effects of subtle racism. In terms of advice for young journalists looking to make change in the same way she shifted the culture of Teen Vogue, Welteroth left the crowd with this. After moderating the event, Nile Pierre said she found inspiration in Welteroth’s words and reflected on what it means to be successful in a world where we often feel limited by our identities or how others perceive us. Imagine being able to reinvent yourself every time you walk into a room. Being able to see yourself as more than the one thing you are perceived as, being valued beyond the stereotype or archetype you are molded into, expanding beyond the boxes we check and place ourselves into. No, I’m not just Nile, just the black woman, the journalist, the perpetually late friend, the Posse scholar, daughter, the only student like me in a class. While all of these are a part of me, not a single one can speak for my existence as a whole. There are no ceilings to success, no cap on evolution or single job or role that can confine an identity. I refuse to be just one of these among the boundless limits that are my potential. Elaine Welteroth is the perfect example of never being just one thing but instead embracing all that she sees herself as. She inspires me to go beyond the labels others assign at face value and allows freedom for exploration of all the things she can be. Me, a black woman, sitting across from her, a black woman, I never felt so different and so similar to someone. On paper, she and I are very much alike — both from California, both interested in journalism, both on this stage, together. But in reality there are so many complexities, so many differences between us. It is this difference I find even more inspiring and even more motivating to not try to be the next her — we already have Elaine Welteroth (and she is fantastic) — but instead be the best me, in every version and in every sense. I want to be a dynamic individual. I don’t want my hair, skin or future degree to speak for me before my personhood does. I want to be someone who is able to change, who is not stuck in one job or one role. A singular individual living a beautiful plurality. Someone who, as Elaine said, does “what makes you feel alive.” And as I progress through life, I realize that life never stays the same, but what is consistent is my love for challenge and a radical self-love when so many identities I hold are hated. Through these I can find who I want to be and what makes that person feel the most alive.